We visited the Sripat (asrama) of Srila Rasikananda Prabhu at Gopiballabhpur in Midnapur. There is a beautiful temple with a repository of all the Goswami literatures. This place is about 400 years old. 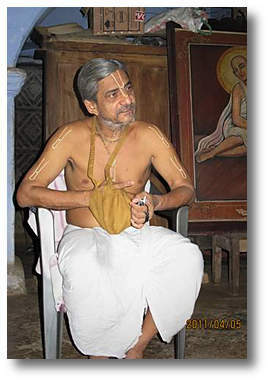 Srila Rasikananda was one of the most prominent followers of the Six Goswamis and a contemporary of Srila Shyamananda. 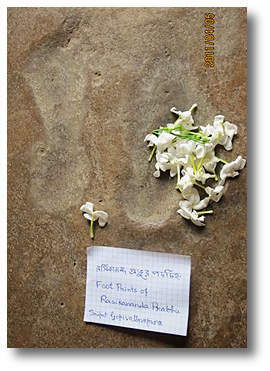 His Sripat has a set of his footprints, melted into the rock. 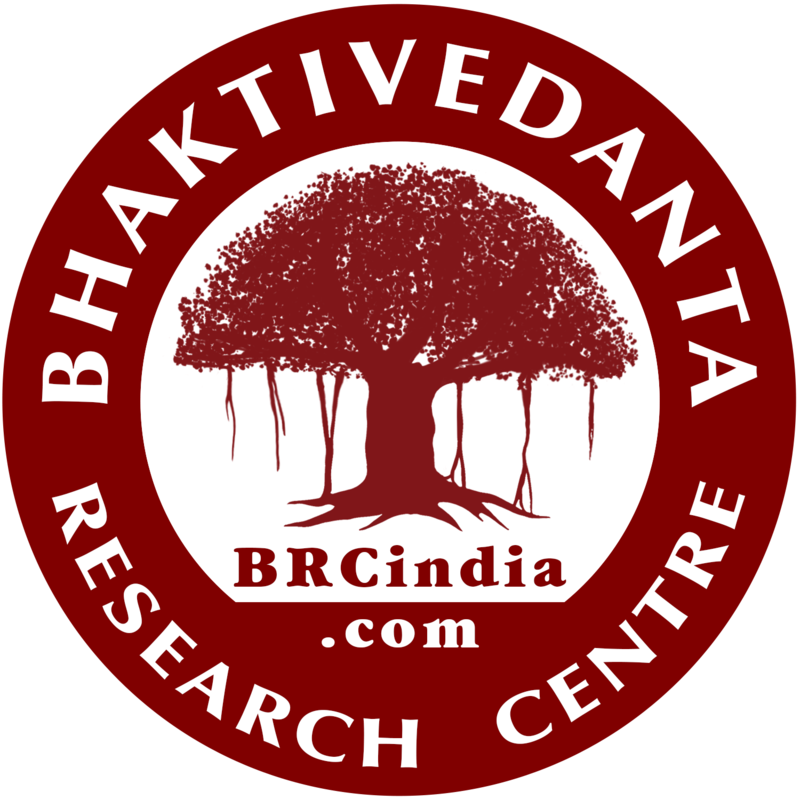 The current Mahanta there is Sri Krsna Kesava Dev Goswami, who comes in direct disciplic succession from Rasikananda. 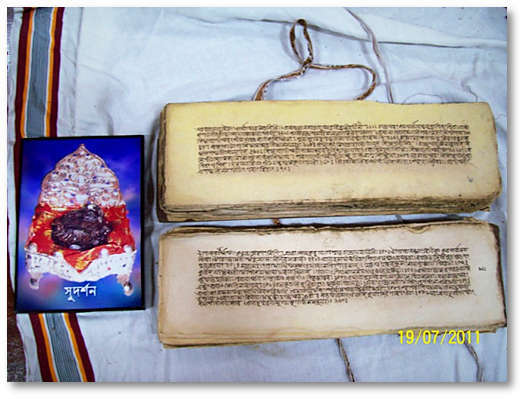 Apart from the digital access, an actual manuscript copy on handmade paper of Caitanya Chandramrta by Srila Prabhodananda Sarasvati was presented to the BRC. April 8th our team went to the Phulia Shantipur Museum where the library has 11,000 books along with the works of Sri Krittivas who was the celebrated translator of Ramayana into Bengali. He was a contemporary of Kasiram dasa who did a similar translation of the Mahabharata, and Jayadeva Goswami the famous Vaisnava poet. There we took photos of various paintings depicting the Ramayana. The secretary there is Deba Babu and he gave full access to their manuscripts library. 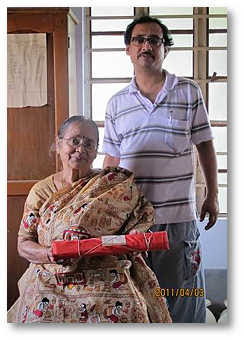 In reciprocation Bharati returned on April 18 and presented a set of Srila Prabhupada’s books to their general library. 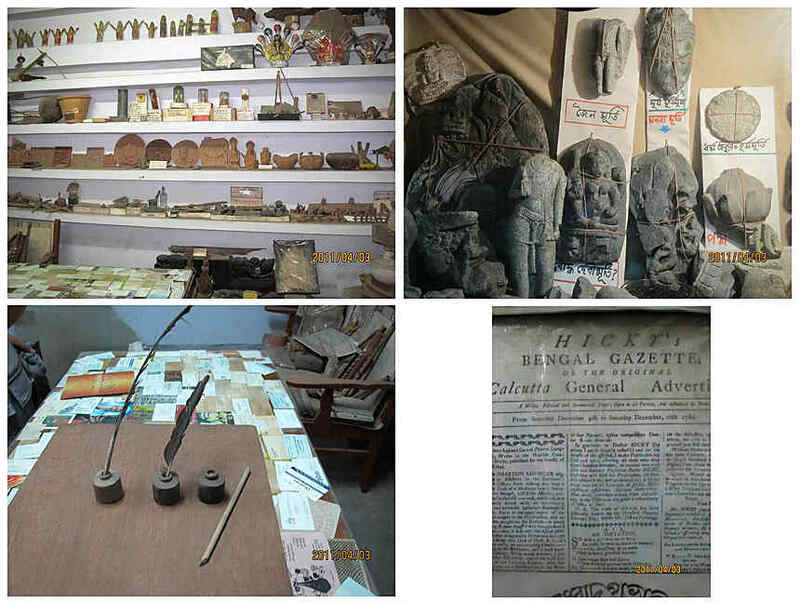 A visit to an extensive private museum in Krishnanagar that was established by the late Sri Mohit Roy was also fruitful. Thousands of artifacts are on display. One old newspaper, Hicky’s Bengal Gazette, dates back to 1780. They also have an extensive library of manuscripts and literature. 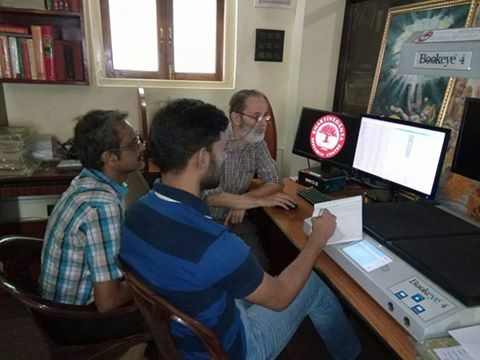 Sri Monami Roy and his mother are the current custodians of his father’s legacy and they were happy to give us full access for digital copying. 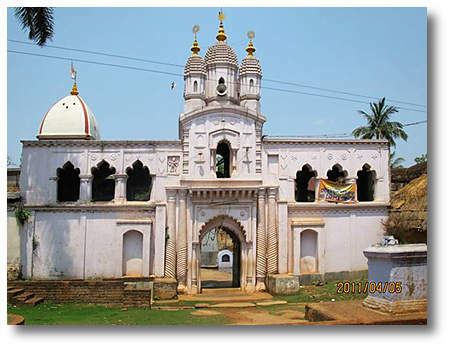 The Dwijendra Pathagar, Krishnanagar, the place of the great poet Dwijendralal Roy who wrote Dhana Dhanye Puspe Bhara and Vande Mataram, two famous songs which are used as popular anthems of India. 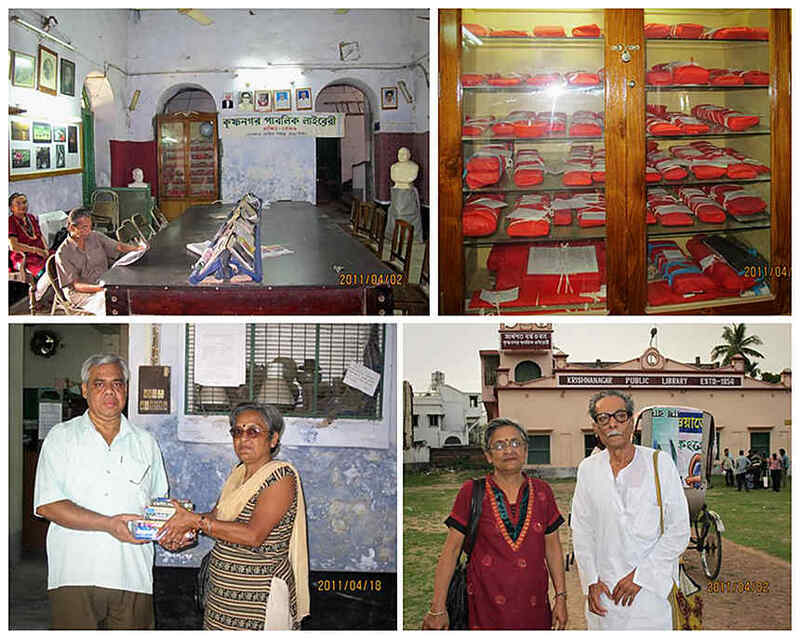 This is an old library and the librarian Mr. Apurva Kundu allowed us to photograph eleven manuscripts here.